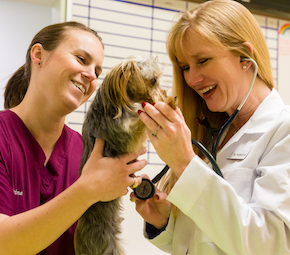 At Cypress Falls Animal Hospital we are committed to providing comprehensive, quality care for each patient to enhance their well-being and quality of life through all stages of their lives. We are compassionate, knowledgeable and enthusiastic about all our patients. 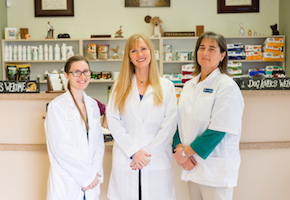 Our team is dedicated to being part of your pet's life every step of the way and educating our clients so that you can make informed decisions about your pet. We offer comprehensive wellness packages, vaccinations, internal medicine for well and sick pets, radiology, dental cleaning, and soft tissue surgery, including spays and neuters. We also have full grooming services including bathing, nail trims, and ear cleaning. 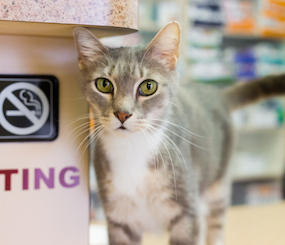 We also offer boarding as a home-away-from-home, especially for pets requiring medical treatments and veterinary care.